Researchers assessing the results of nearly 200 studies say sperm counts among men from North America, Europe, Australia, and New Zealand, seem to have halved in less than 40 years. …Dr Levine, from the Hebrew University of Jerusalem, found a 52.4% decline in sperm concentration, and a 59.3% decline in total sperm count in men from North America, Europe, Australia and New Zealand. The study also indicates the rate of decline among men living in these countries is continuing and possibly even increasing. ….In the US alone, 39 to 73 million jobs may be eliminated by 2030, but about 20 million of those displaced workers may be able to easily transfer to other industries, according to the McKinsey report. If we consider that we already have 80 million adults not working as is with a hot economy and then potentially add another 73 million that have difficulty finding jobs, we’d be approaching the point where literally half of the adult population wouldn’t be working. You can nibble around the edges at a problem like that with retraining or legislation, but if we were to end up with 150 million people on some version of long-term government assistance without hope for the situation to improve dramatically, it wouldn’t bode well for society. Aside from the crime, rioting and disorder that would inevitably result from that many idle hands, it would dramatically undermine the incentive to work for the rest of the population. Yes, there are a myriad of ways that an advanced artificial intelligence can make life better for human beings, but once AI reaches a certain point, we’ll be sharing the planet with an intellect greater than our own. It takes a lot of arrogance to believe we can control that intellect and use it as a servant. Depending on how we use it, our lives could be revolutionized by that AI, but at a terrible risk. While you didn’t see it, feel it, or even read about it in the newspapers, Earth was almost knocked back to the Stone Age on July 23, 2012. 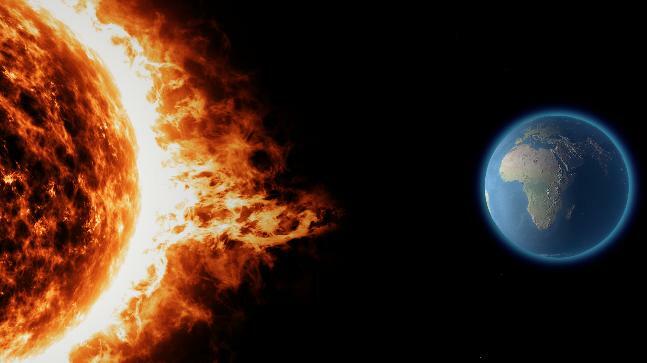 … If the solar storm had hit Earth back in 2012, the total economic impact is estimated to be around $2 trillion, or 20 times the cost of Hurricane Katrina. It’s not just about money, though: As I covered in our feature story The Machine Stops, it would take time to fix up the world’s power grid. You can’t just magically replace dozens of giant transformers and substations. There are only so many diesel generators to fill the gap. If a giant solar storm hit the Earth, large parts of society could be without power for months or years.